As I previously mentioned, my wife and I have set a goal to move from San Antonio TX. to Denver CO. We would like to move there by this time next year. I want to get through my CDL Schooling and training here as soon as possible. I've gotten alot of great info. About what type of trucking (dry van/refrigerated/flatbed) would suit my needs best. But, should I also look at a company that has a presence in both Texas and Colorado? Say I'm working for "Acme Trucking" here and I move to Colorado...how does that work? Can you stay with the same company? I obviously want to do a solid year with the same company to get enough experience to go regional for more home time so I would like to stay with the same Company. Does the Company have to have terminals in both states or is it enough that they hire from both states? Thanks for the info! I greatly appreciate it. I'm so glad I found this site. All the other ones I looked at were non-stop griping and complaining. I previously mentioned i did some time in prison years ago and there were these same types in there..."wah wah its not fair! wah wah". really gets on your nerves. You have to accept responsibility for your own actions, some people would rather blame everyone and everything else for their problems. Everyone here is very helpful. No arrogance or condescension. Thanks! 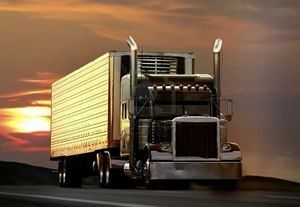 My biggest concern in becoming a Truck Driver is the the "away from home time". I've read a lot of the blogs and one really stood out. Forgive me, I can't remember the author but it was very adamant about not taking a job that will keep you away from home for weeks at a time if you are married or have children as it is hard on the family. that is a huge concern to me.But, is it possible to get a regional, or dedicated route when you're a new hire out of school? Is it a situation where you bite the bullet and do long haul for 6 months to a year and then are qualified? I'm fine with that. Also, correct me if I'm wrong, but it seems from what I've read that it's better to go with a larger dry van carrier to have more opportunity for regional or closer to home dedicated routes? I don't expect to get rich but can you make a decent living/get enough miles doing the regional or dedicated thing? I have a few questions about Truck Driving. Thanks for all the replies. As for my bit, it was for a Burglary Of A Habitation, not armed and no drug cases. I've been out now almost 18 years so I would think it wouldn't be a hindrance but I figured you guys (and gals) would know more about that than me. Thanks! I really, really like this forum. It's the best, most honest and informative I've run across. My first question is I'm seriously considering going to a local Community College to get my CDL here in San Antonio, TX. But, my wife and I are probably going to be moving to Denver CO. next summer. What is entailed in switching from a Texas CDL to a Colorado CDL? Also, I was in prison for a few years in the 90s, got out in 96, no trouble since. Would this hamper me in getting hired?